Before going further you should be aware of that in order to be able to transfer the token out of your own wallet again, you will need to make sure you got a little bit of ETH to cover the GAS price, 0.03ETH should be sufficient. If you are sending the REF directly to an Exchange that supports REF, you can ignore this warning. If you are using Metamask. 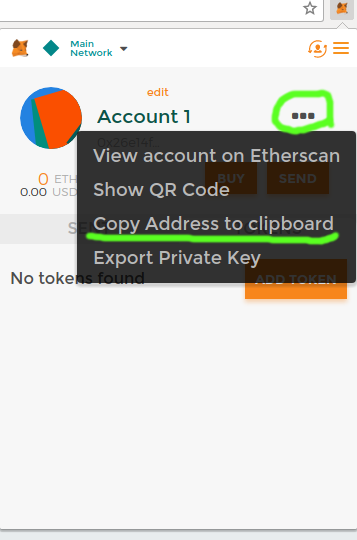 Click the orange extension icon, click the three dots (...) next to your new account, and click Copy Address to clipboard. Paste in the address in the send field and fill in the amount of REF you want to send and hit send. 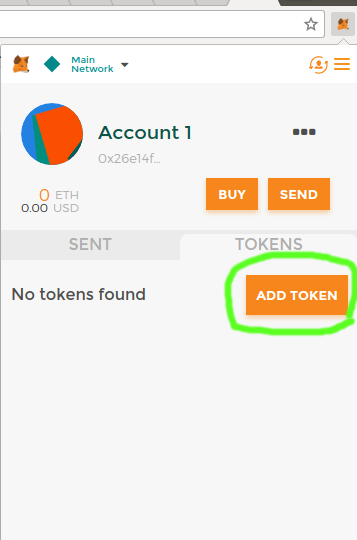 Click on the Tokens tab in MetaMask and click on "Add Token"
Wait a few minutes and your tokens should show up. Sometimes there can be a network congestion that are causing a delay. Contact us at [email protected] if it takes more than 12 hours. Congratulations, you have now full control of your REF tokens. 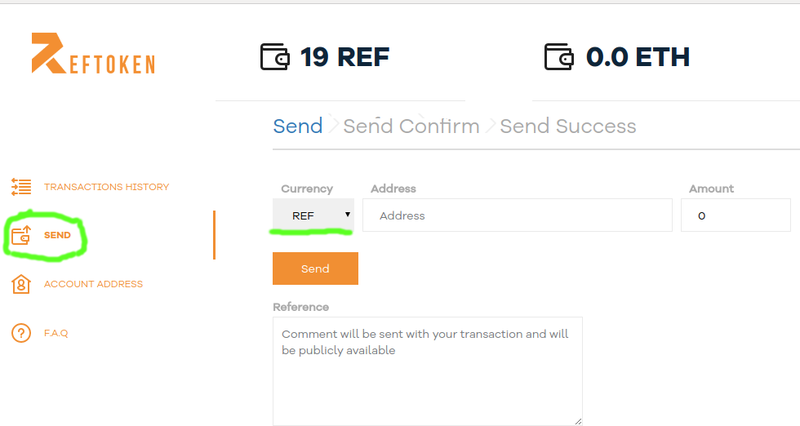 Check out our guide on how to Send REF to another Wallet/Exchange with MyEtherWallet. For that you will need to make sure you have ETH in your wallet. Make sure you make a proper backup of your seed phrase stored in a safe location offline. In case you lose it and you dont have your private key, there is no possibility to return your funds.